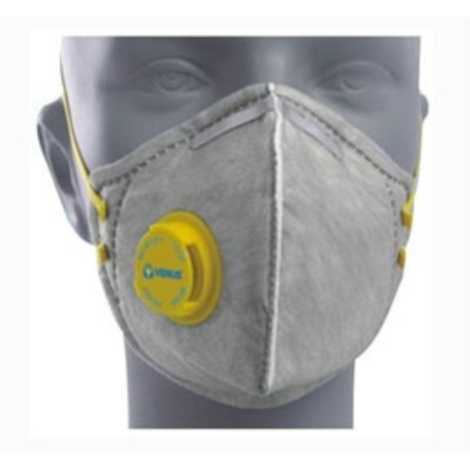 Type Respirator Mask Sub Type Universal Series Model No. V-430 SLV Part No. 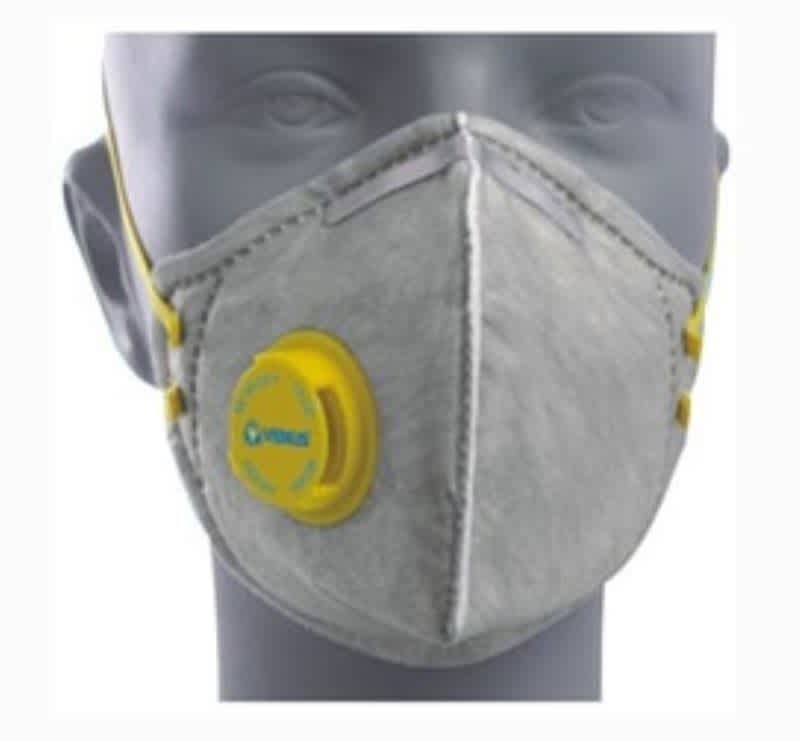 14056 Color Grey Nose Clip Aluminium Size Standard Standards/Approvals FFP3 NR Exhalation Valve Yes Respirator Style Flat Folded Performance Factor 50 X O.E.L. Features Stitched adjustable double elastic. Elastic Sewed Outside Filter Area-No Leakage. No Puncture on Filter. Aluminium Clip For Snug Fit. Low Profile. Design- Fitting Wide Range Of Face Contour. Applications Engineering, automobile battery, brazing & working, Metallurgical industries, fertilizer, foundries, power generation, sanding.